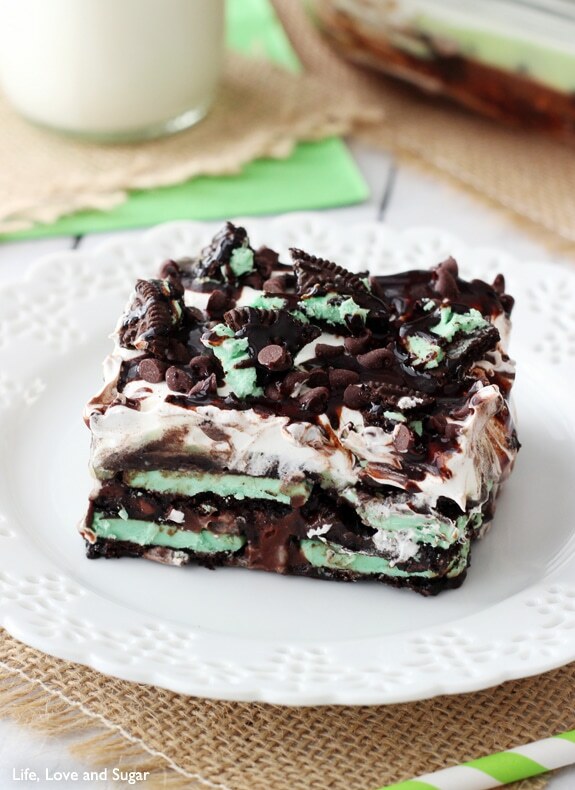 This Mint Oreo Icebox Cake is perfectly minty and so easy to make! It’s no bake and I’m a big fan of no bake. 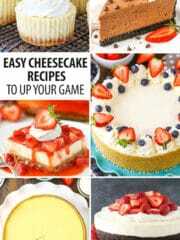 Certainly by now you know that I also love a more complicated dessert and beautiful cakes as much as the next person, but there are definitely times that easy, quick and super tasty is all you need. This is one of those recipes for one of those times. And it’s perfect for sharing with friends! 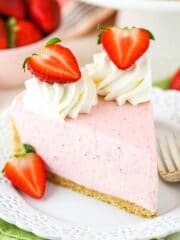 And I need an easier dessert to make this weekend. I felt restricted because our garbage disposal was jammed, so no water would go down the drain and when I tried to use the dishwasher, water started filling up the sink. Eek! So, our Saturday night was spent doing two things. 1. We saw ‘The Lone Survivor’. O.M.G. Have you seen that? Amazing. Must see. It absolutely blows my mind that our service men are trained to be able to go through that. It’s amazing that a body can be trained for that. It’s humbling and makes me so appreciative of what those men and their families sacrifice. One of my very best friends’ husbands flies in the army and I couldn’t help but think of them for a lot of the movie. I cried like a baby. See it. Seriously. 2. The hubs fixed the garbage disposal. I was super impressed. I was convinced we’d need to call a plumber. Instead, he started taking things apart, with me as his sidekick. It wasn’t looking good. He had me googling diagrams of our exact model so we could figure out how to take it apart. He was removing tubes and hoses and stuff. It was scary. But he fixed it! And at least for the night, he was my hero. The sound of a garbage disposal has never been so sweet. However, when I made this, I still had no good sink options. So easy was preferred. Plus, it’s full of one of my favorite things – Oreos. I mean really, sometimes I think I will turn into an Oreo. I have always loved them and double stufed is the way to my heart. Bring on that Oreo filling. 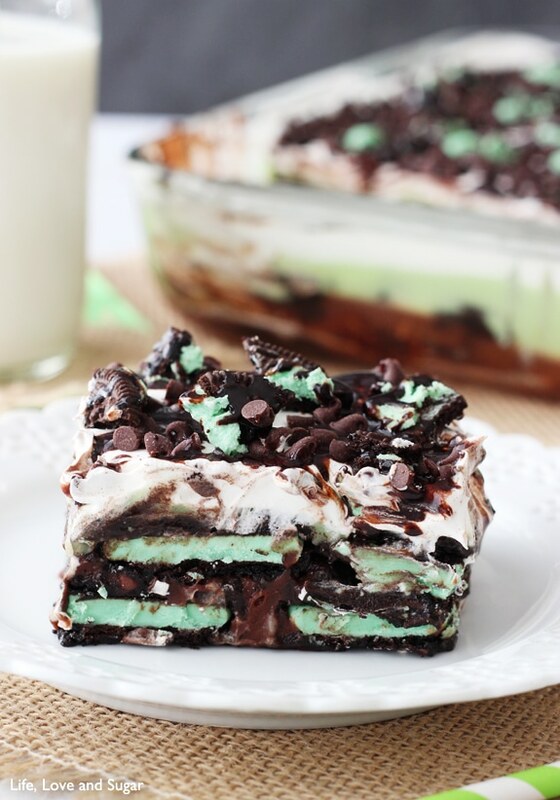 This icebox cake is full of those amazing sandwich cookies of the mint variety. Two boxes of them, to be exact. One box for each layer. 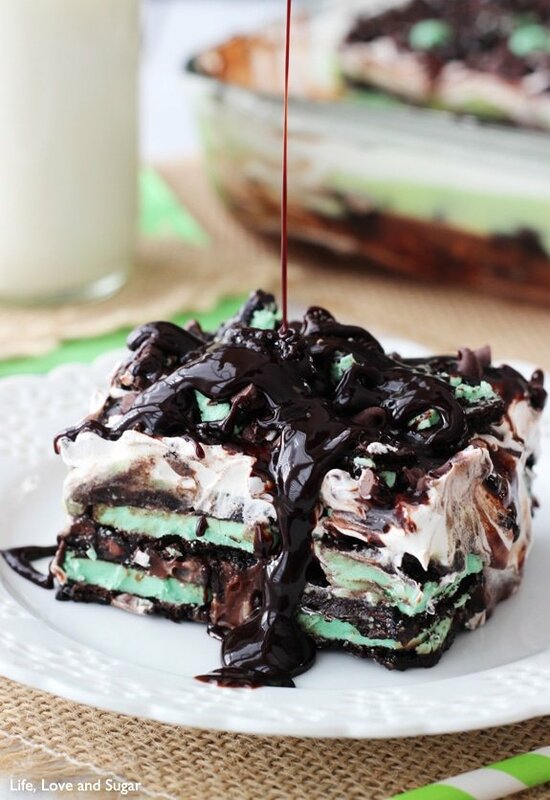 To make this delicious minty cake, you start by dipping a layer of mint Oreos into milk and making a single layer on the bottom of a 9×13 pan. Since milk and Oreos are made for each other, that makes perfect sense. Then you’ll top that layer with some chocolate pudding. It always surprises me how much I like pudding when I make it. Next, I added some mini chocolate chips to give a little crunch. On top of the chocolate pudding, you can add a layer of them, if you like. It’s hard to see them in my pictures except for on the top of the cake, but they’re there. I have a fabulous girlfriend who absolutely dies over anything mint and chocolate chip. She always tells me how she loves my recipes and she so wonderfully shares many of them. So the chocolate chips in this are in her honor. I hope you like them too! It gives a bit of crunch. Next, add another layer of milk dipped Oreos. The next pudding layer is actually a vanilla pudding with some mint extract and green color added to it. Funny, it doesn’t show as much in the pictures either, but darn is it good and minty. Finish it off with a layer of Cool Whip (or homemade whipped cream) and sprinkle some more chocolate chips, Oreo crumbs (I had about 3 cookies left for this purpose) and some chocolate sauce. You can freeze this cake or store it in the fridge. My preference was the fridge. Yum! I took it to our small group and it was a hit! A few of them thought it surely had Andes Mints in it, but no. 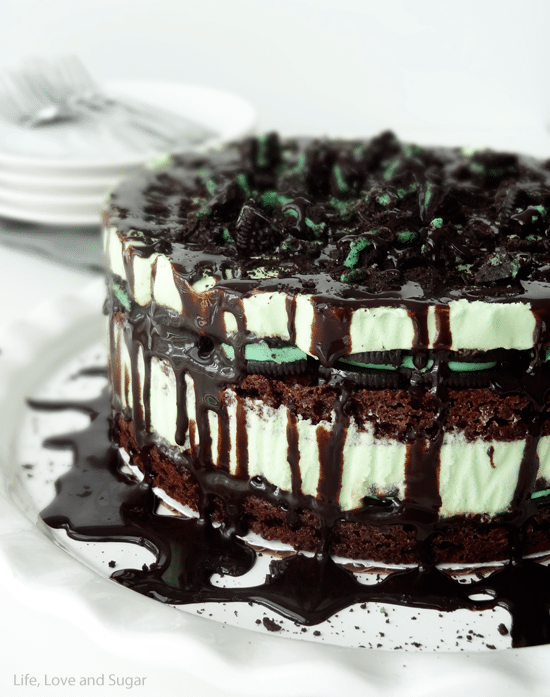 Mint Oreos and mint pudding are responsible for that tasty flavor. chocolate sauce for topping, if desired. 1. 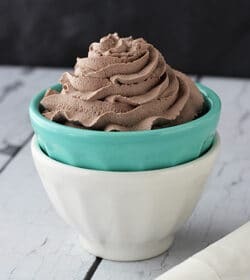 Make chocolate pudding according to directions on package, using 2 cups of milk. Set aside. 2. Make vanilla pudding according to directions of package, using 2 cups milk. 3. Add mint extract and food color (see NOTE below) to vanilla pudding and mix well. Set aside. 4. 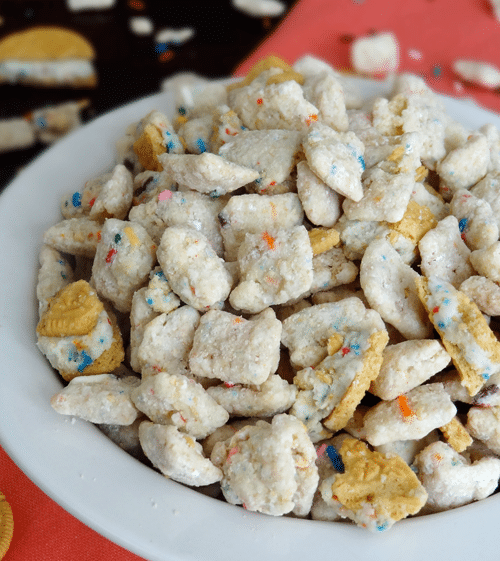 Put remaining 1/2 cup milk into a small bowl. 5. Dip Oreos in milk quickly and then place into the bottom of a 9×13 pan, making a single layer. 6. Spread chocolate pudding over the first layer of Oreos. 7. Sprinkle 3/4 cup of mini chocolate chips over the chocolate pudding. 8. Dip remaining Oreos in milk quickly and place on top of the chocolate chips, in a single layer. 9. 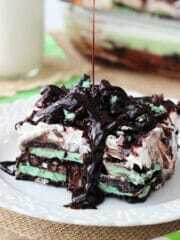 Spread mint pudding over the second layer of Oreos. 10. Spread Cool Whip over the top of the mint pudding. 11. Sprinkle remaining 3/4 cup mini chocolate chips on top of the Cool Whip. 12. 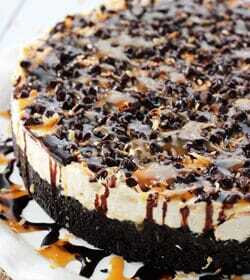 Top with remaining Oreos, crumbled, and chocolate sauce, if desired. Store in refrigerator. At the time that I made this, I didn’t have green food color, so I used blue and yellow to make green. If you have green, you can use that. I’d start with 2 or 3 drops and then check the color. 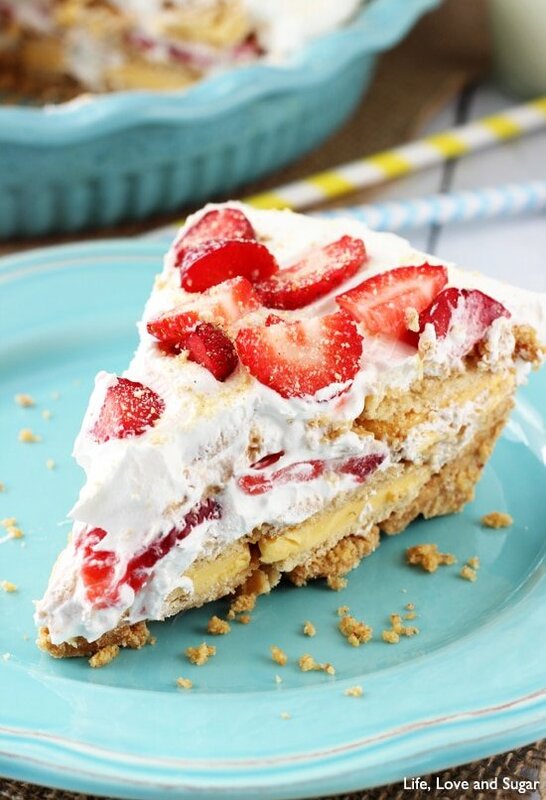 Why have I never made an icebox cake before? OMG totally happening. So is that movie, I want to see it now, with a box of tissues. This looks so amazing! 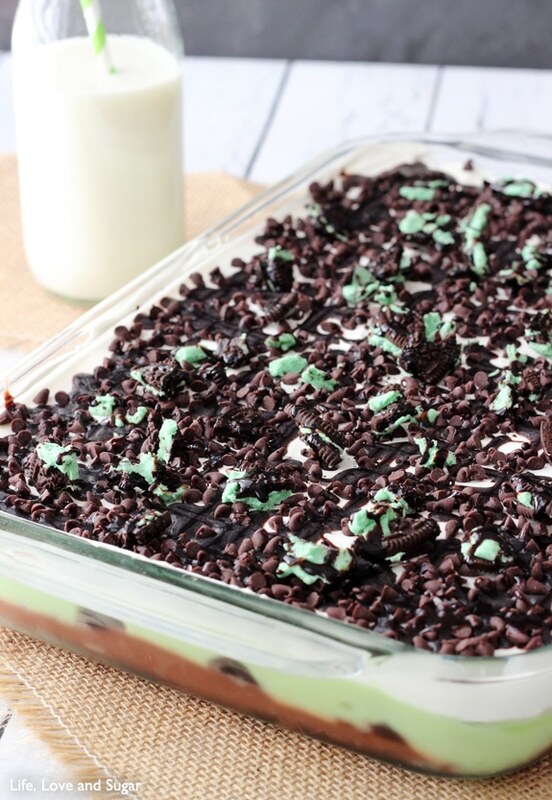 I love chocolate and mint together, especially around St Patrick’s Day. 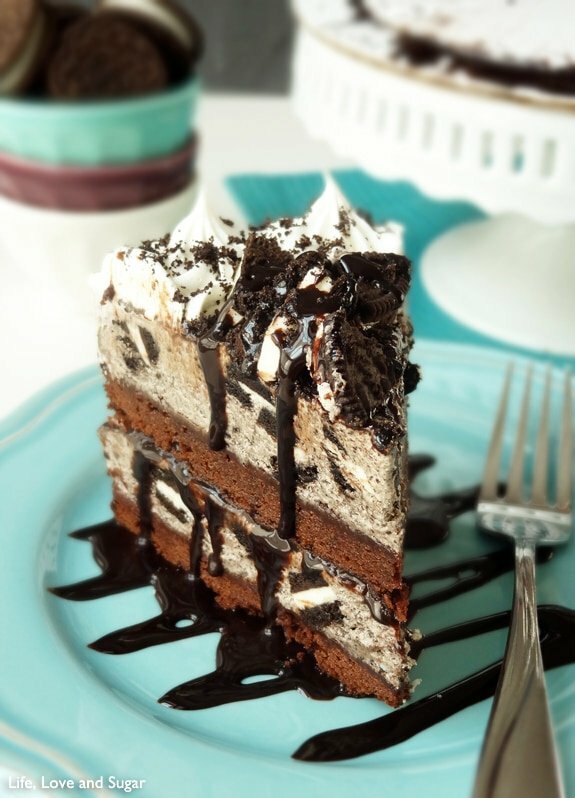 I’ve never tried an ice box cake, and I really need to! Thanks Marcie! You should definitely try it – so easy! Yes, yes, yes!!!! 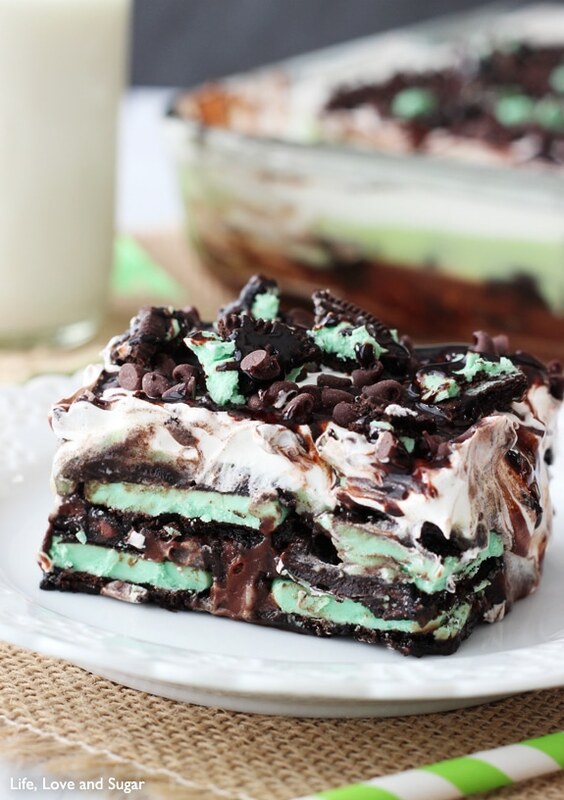 I am MAD about those gorgeous green mint Oreo’s, and to layer them with pudding?!!?! Brilliant!!! Wow – I saw this on Pinterest and just had to come over. These pictures are so beautiful and my mouth is watering just looking at these. 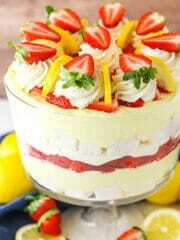 Can’t wait to make this icebox cake. I don’t even care that it’s below zero outside – I have to have this. Pinned! Thanks so much Kathi! Thanks for the pin! I am sharing your wonderful post tomorrow in my “100 Something Green St. Patricks Day RoundUp” http://wp.me/p466oG-11f with a link back to your original post plus pinned to my St. Patricks Day Board! Have a terrific weekend! Ohh, how I love you sister. This looks awesome. I really want to watch that movie even more now. Watched Captain Phillips last night- GREAT movie. Ridiculously suspenseful and much better than I thought it would be. Ok I’m sending you a text now because I miss you, don’t worry about replying to this because you will be hearing from me in T minus one minute. Haha, I definitely saw your text first. Love you Nelly! Lindsay, that is the worst when the garbage disposal is jammed! I always forget and keep putting food in the sink… that right there is no fun! 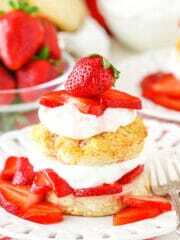 But, this dessert on the other hand ROCKS!! Dang girl, this is perfect for me!! I am mint-chip crazy. 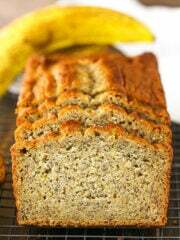 My hubby and I made this over the weekend and it is absolutely DELICIOUS! I love the simplicity of it yet the amazing flavor! Mint anything is my favorite. 🙂 Thanks!! Awesome! I’m so glad you loved it! Thanks Brittany! Oh man that looks amazing! 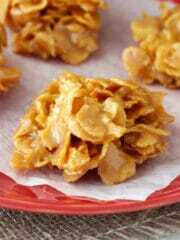 I’m a big fan of no bake too! Stopping by to pin this and let you know I featured it on my blog today! 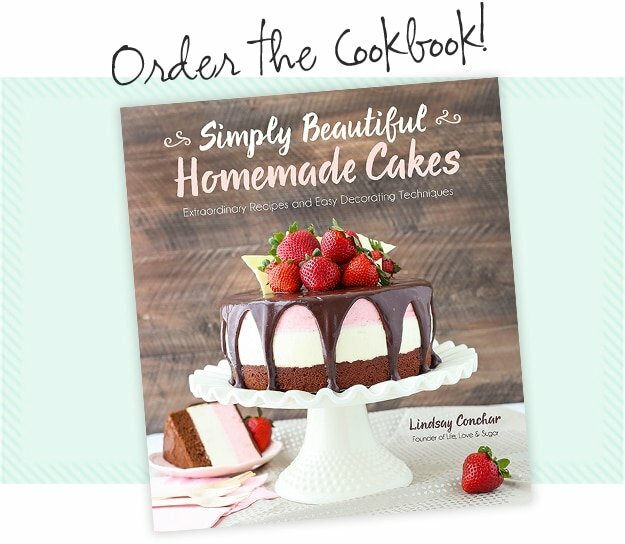 Lindsay, you come up with the most luscious desserts and your photos make them MUST HAVES! I am not surprised that your group loved it. Chocolate mint is good but something cold and chocolate mint is even better. 🙂 Pinned! Thank you so much Wendy! I try 🙂 Thanks for the pin! Yes! So easy, huh? I love it! Are the pudding mixes instant or cook and serve? Hello! 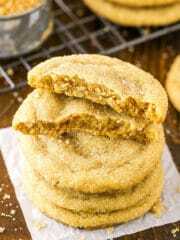 I tried this recipe but because oreo cookies are circular, I was wondering what you did to make sure that the entire layer is covered with biscuit, since it’ll inevitably result in holes between the biscuits! Thank you! There isn’t really anything to fix that. Overall the dessert is very pudding-heavy. The Oreos break that up and add some texture and thickness. 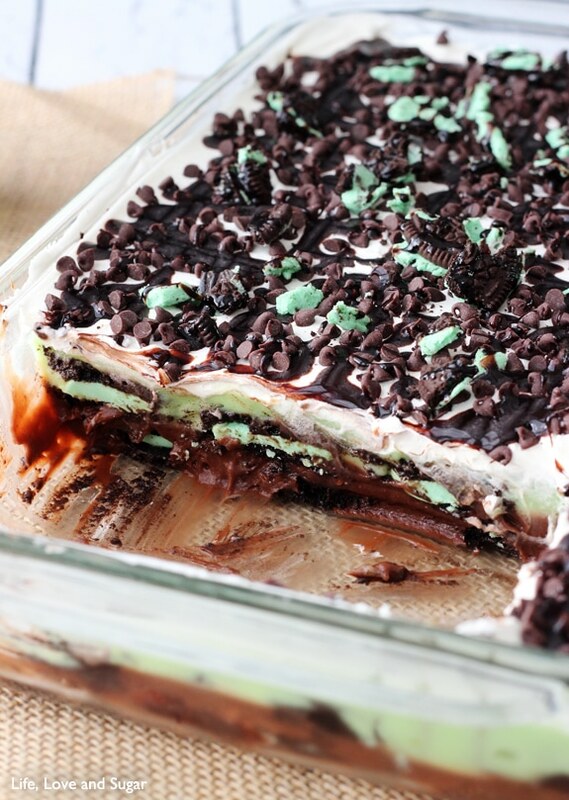 Pingback: 29 Heavenly Treats For Mint Chocolate Chip Lovers! 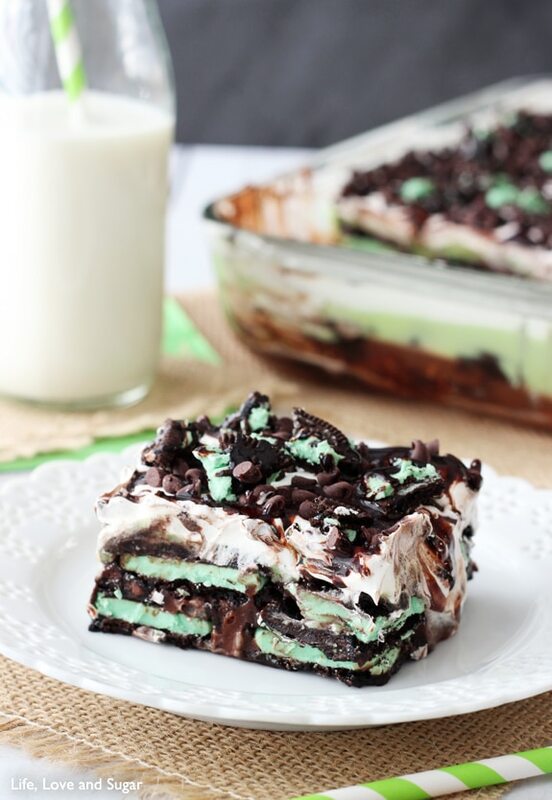 IS it necessary to refrigerate Mint Oreo Icebox Cake………i am taking part in cooking without fire competition and they dont provide refrigerator …..if it is necessary to refrigerate then please suggest any sweet dish in which it is not necessary to refrigerate or bake……thanks! You would want to refrigerate this for it to get firm. Once firm, you could leave it out of the fridge for an hour or 2 and it should be fine. Hi, love this idea! Really looking forward to making it! Would it still work with Wagon Wheels or some other mint Oreo-like things, because Australia doesn’t stock them and I am going to have to order them over the Internet. You could definitely use some other kind of chocolate cookie. I’m not really familiar with the wagon wheels, but I googled and it looks like they have out outer chocolate coating. If that’s the case, I’m not sure they’d be the best substitute. The Oreos usually soften front he moisture of the ingredients around them. With the coating, I’m not sure those cookies would do the same. Maybe find another chocolate cookie without the coating? Also, just wondering how many Oreos are in 1 box? I believe there are usually about 30 Oreos in a box. I made this for a pigout at work yesterday and it was really good. I did break cookies in half to fill in the edges where needed to cover the pan. Many positive compliments and it’s easy which makes it even better! thanks! Oh wow we need this!! 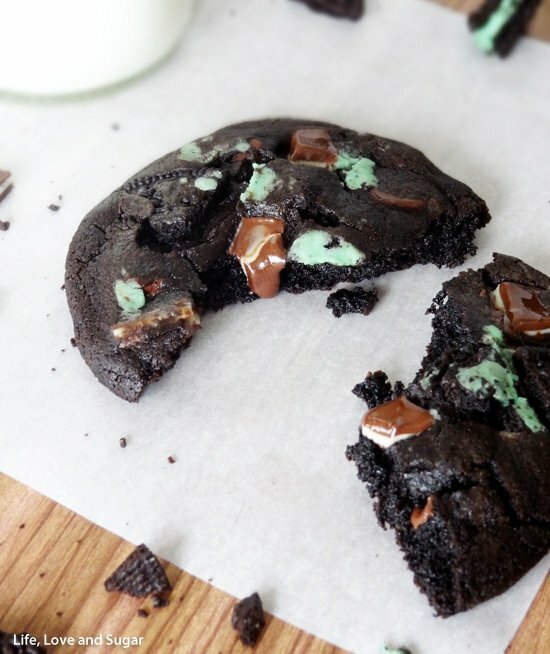 We love anything mint and chocolate!! Hi! How many does this serve? Thanks! I am not typically a big pudding or mint person but one of my colleague’s wanted a dessert with mint and cool whip. I made this and omitted the chocolate syrup and halved the chocolate chips. We all agreed it was more minty than chocolatey, but, it was good! 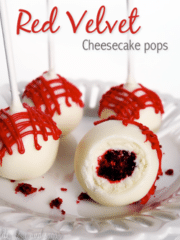 I would make this again because it was so easy! I might omit the mint extract since I do not prefer it as much as the next person. 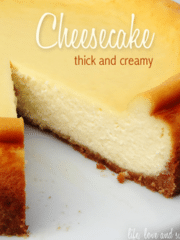 Thanks for an easy recipe that is great for work!